A Tencent-led group will pay $5 bln for a stake in the indebted conglomerate’s property arm. 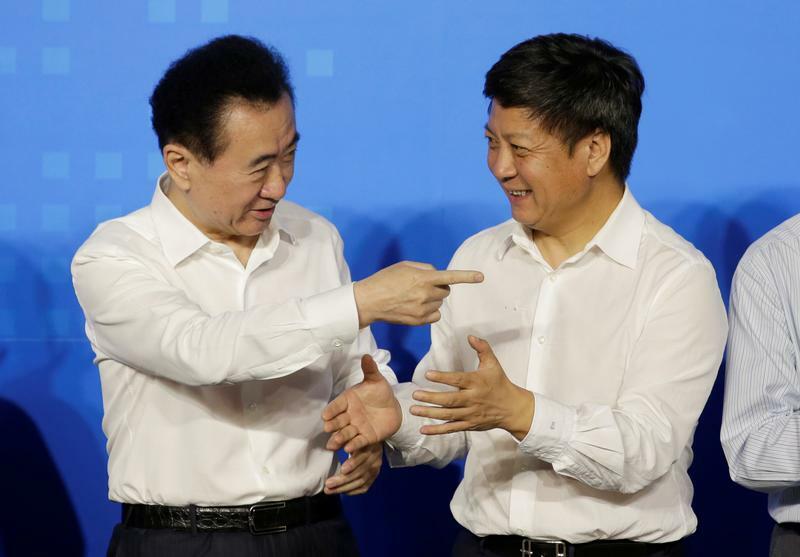 The money buys boss Wang Jianlin precious time to execute a relisting in Shanghai. This new alliance could help clear regulatory hurdles too. What the allies get out of it is less clear. Chinese conglomerate Dalian Wanda Group on Jan. 29 said that a consortium of strategic investors led by Tencent will buy a 14 percent stake in its commercial property arm, Wanda Commercial, for 34 billion yuan ($5.4 billion). The group, which also includes Suning Commerce Group, JD.com, and Sunac China, will buy a 14 percent stake in Wanda Commercial from investors who had purchased the interest as part of a take-private transaction to delist the unit from the Hong Kong stock exchange in 2016 and float it in Shanghai instead. Those investors had been promised up to 12 percent annual interest if Wanda Commercial failed to relist in Shanghai within two years, Reuters reported in April 2016. After the introduction of the new strategic investors, Wanda Commercial will focus solely on commercial management instead of property development, the group said.